Tranquil Island Home with Private Pool and Short Walk to Majestic Gulf of MexicoAcapulco Villa (131 E Acapulco), is in a premier location, offers guests close access to South Padre Island’s white sandy beaches, less than ¼ a block from the beach. Has a fenced backyard offering a private oasis, covered patio with a BBQ and dazzling 3-6 foot swimming pool. Come play with us on South Padre Island! You'll Fall in Love with this Delightful Island Home in a Premier Location Angelina’s Hide-A-Way (113 B East Georgia Ruth), is in a premier location, offers guests close access to South Padre Island’s white sandy beaches, less than ¼ a block from the beach. Has a fenced backyard offering a private oasis, patio with a BBQ and dazzling swimming pool with attached unheated kids pool. In the evening, sit out on the balcony as you gaze out across the Laguna Madre Bay as the sun sets on the horizon and paints the evening sky. Come play with us on South Padre Island! Townhome Right on the Beach, Kid Friendly, Gorgeous Ocean View, Attached 2 Car Garage, Private Beach Access & PoolHave you dreamed of living on the beach with all the comforts of home? Cabo San Lucas is the place to make your dream a reality. This fabulous multilevel townhome overlooks the beautiful Gulf coast, its breathtaking view and restful atmosphere ensure renewal of body and spirit. It not only offers marvelous views but luxurious accommodations, including a gourmet kitchen. Children should be an important and cherished part of every family. We happily welcome them in this vacation home. Come enjoy paradise at Cabo San Lucas (5504 Gulf Blvd), the perfect place for creating unforgettable memories with your family and friends as you experience South Padre Island. Island Home Across Street from Beach, Private Pool & Spa, 2 KitchensThe Gardenia Villa is a beautiful 4 bedroom/ 4 bath home. A favorite for friend and family gatherings. 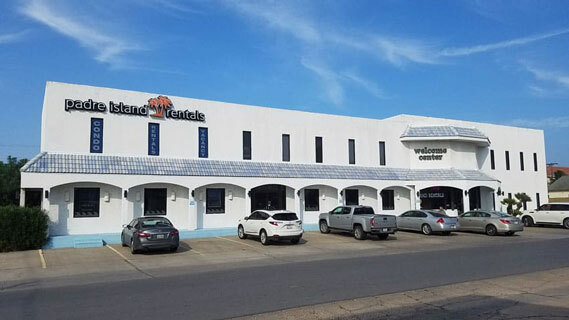 Located in a premier location, just across the street to South Padre Island's white sandy beaches. This spacious 2500 sq. ft. beach home offers a private oasis with a dazzling pool, bubbling hot tub, outdoor shower, barbecue grill, patio with outdoor fans and lights within a private tropically landscaped back yard. Gorgeous Ocean View, Beachfront Townhouse with Attached Garage, Private Pool & Beach Access, Small Dogs WelcomeYou cannot get any closer to the beach than this. Features a private heated swimming pool, private direct ocean access, large balcony and patio. Start your day enjoying a cup of coffee on the furnished patio as the morning sunlight warms your skin and the sea breeze kisses your face as it passes by. After breakfast, take a morning stroll along the beach as the waves dance back and forth along the shoreline. Preparing meals is a breeze in the large, fully stocked kitchen. End your day on the balcony gazing at the spectacular starry sky. South Padre’s Hidden Treasure, Gorgeous Remodeled Home, Half a Block from Beach, Private Backyard with Pool and sleeps 12 guestsTreasure Island (123 A East Atol) is a gorgeous, newly remodeled home, located in a premier location, half a block from the beach and less than half a block from Padre Blvd with shops, eateries and a variety of island adventures. Treasure Island is the perfect place to enjoy a piece of paradise while you experience South Padre Island and create unforgettable memories with your family and friends. Avoid the crowds and enjoy the privacy of one of our fine South Padre vacation homes. A fantastic alternative to being in a condominium complex our beautiful vacation homes will offer you all the comforts of our own home! With a variety of amenities and locations available, there is sure to be a perfect match in our listings. If you need expert advice or help narrowing down between South Padre vacation homes for your next trip, contact us. We are excited to help you find the ideal vacation home rental for your next visit to the Texas Gulf Coast.